If you haven't been to Faraday's Cage yet. Well, you should. An artisan bakery that also serves exciting breakfast and lunch options alongside excellent coffee, this is the embodiment of a truly thriving Melbourne café. The bakery makes some of Melbourne's best croissants, pastries and breads while the kitchen sources seasonal and local produce to create a delicious menu with something to suit everyone. We adored Faraday's Cage rendition of the humble egg benny. Their version is incredibly decadent. 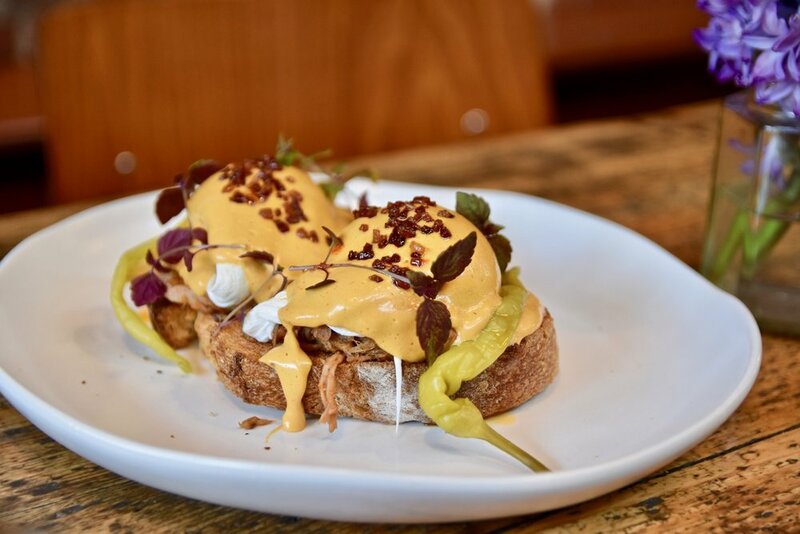 12 hour pulled pork shoulder, poached eggs encasing dripping yolk, pickled chilli and bacon crumb is sat atop sourdough toast before being drizzled with rich chipotle hollandaise. The Hot smoked salmon and fritters was similarly wonderful. We loved how perfectly seasoned the dish was. 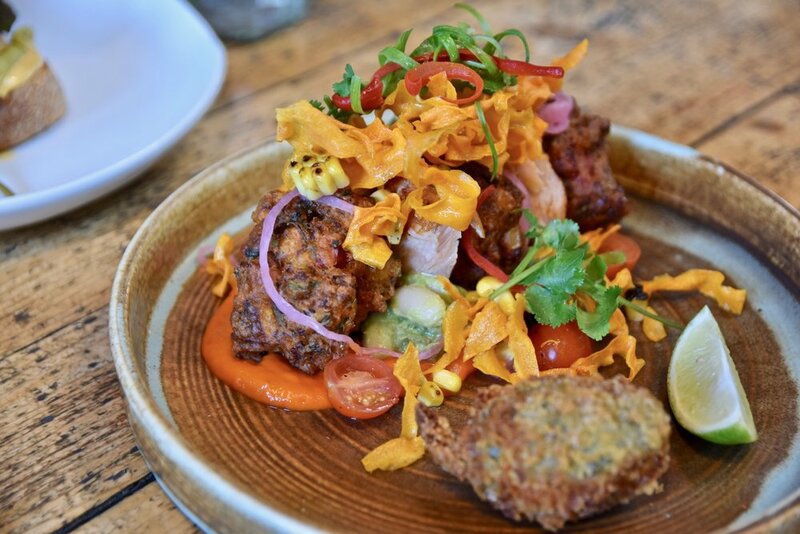 The corn and quinoa fritters had a crunchy golden brown exterior and were succulently sweet - the nuggets of deep fried batter were sheer pleasure. For sweet tooths do not go past the ricotta pancakes. A simple breakfast favourite that amalgamates the best things in life (such as mascarpone). The pancakes were fluffy and moist and embellished with caramelised white chocolate, broken meringue, passionfruit, maple syrup dehydrated strawberry, lemon balm, mascarpone and berries. Just. Yum. Armed with amiable staff and a great selection of honestly prepared food and beverage, along with decadent pastries and crusty house-baked bread to take home, Faraday's Cage is an absolute gem. We cannot wait to return.